After deliberation from this post I took the plunge and got this Whistles jumper dress. I've never owned one before but now pretty much live in it. It's the perfect "I don't know what to wear" piece, so much so I think mine will soon voluntarily walk itself to my washing machine just to get a break from me. It's unbelievably comfortable and goes with everything. Just do yourself a favour and buy it. I've banged on about wanting a denim jacket for months but couldn't ever find the right one. So when this landed on my doorstep I was delighted. I've never had any denim from J Crew before, in fact I haven't worn anything from J Crew at all recently - but expect that to change as am working on a little something over the next couple of weeks (which, wonderfully, means I've got to go to Limewood again - sometimes my life is just a bit too hard…). 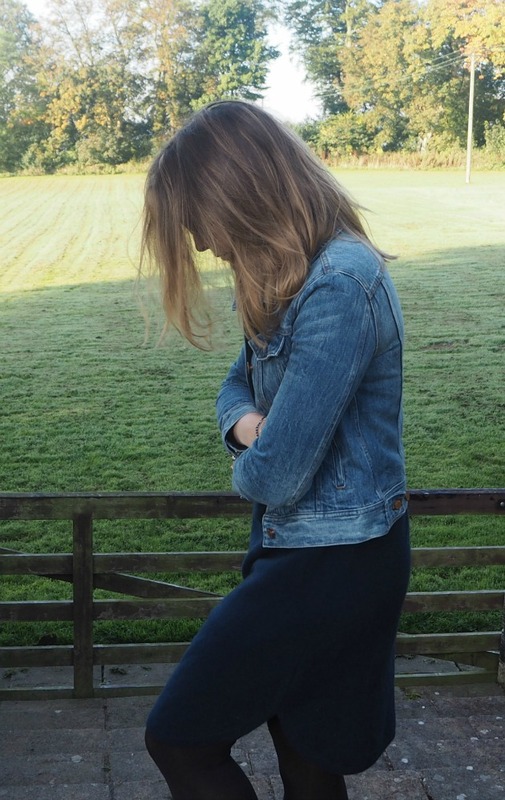 If anyone has any doubts about their jean-stuff, let me assure you it's beautifully soft and the price point isn't at all scary - have a look here. The shoes are a bargain from Gap, bought when my heels decided to chop into my feet whilst in town a couple of weeks ago. I found them right at the back of the store in the sale and have worn them to death since. They don't seem to be in many stores any more but you can buy them online here. Sunglasses are "new in" from Tommy Hilfiger (a brand I haven't had anything from since the teenage perfume obsession) and I love them… Have a few new pairs to try but these are winning at the moment!